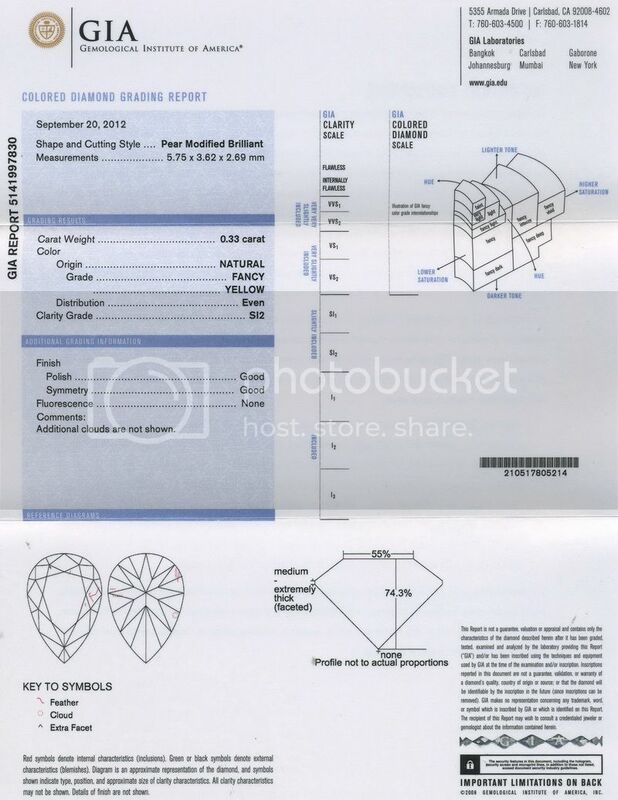 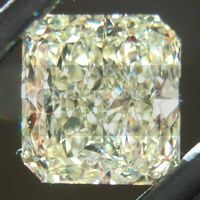 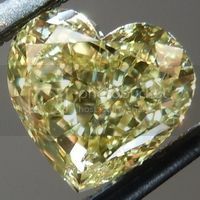 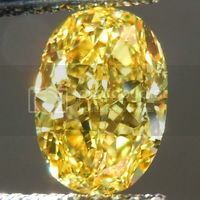 This is a fancy yellow diamond in a desirable pear shape. 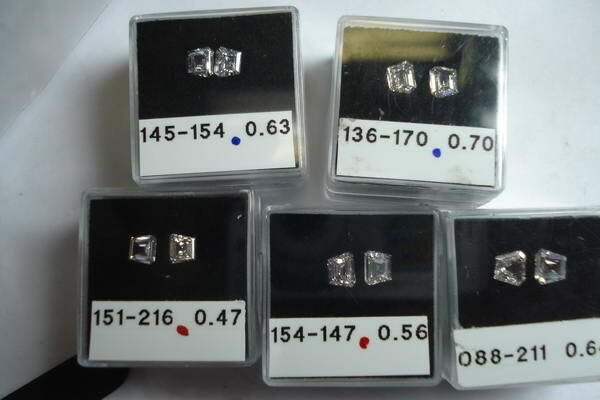 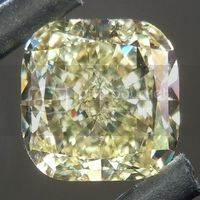 It is beautifully cut and has great brilliance. 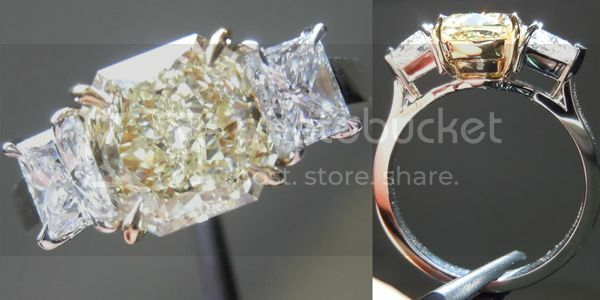 Nice organic shape. 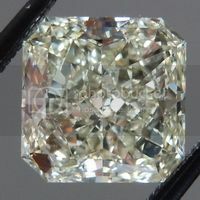 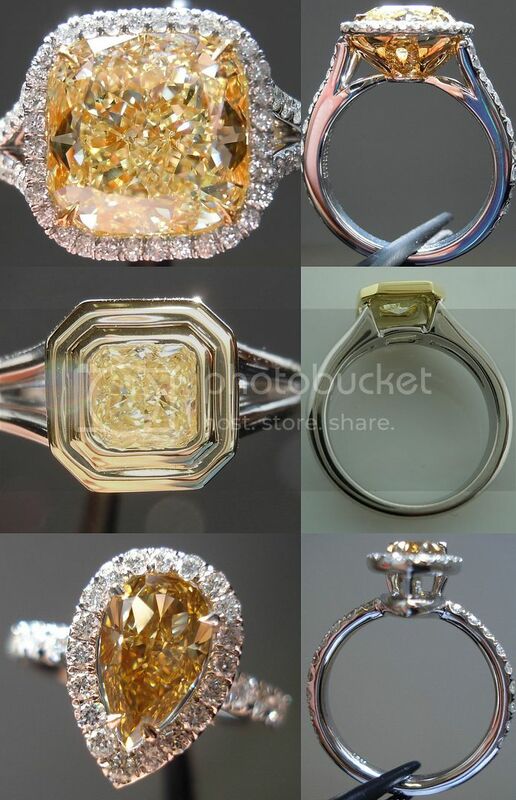 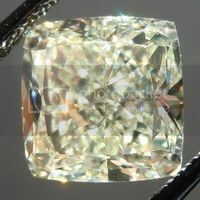 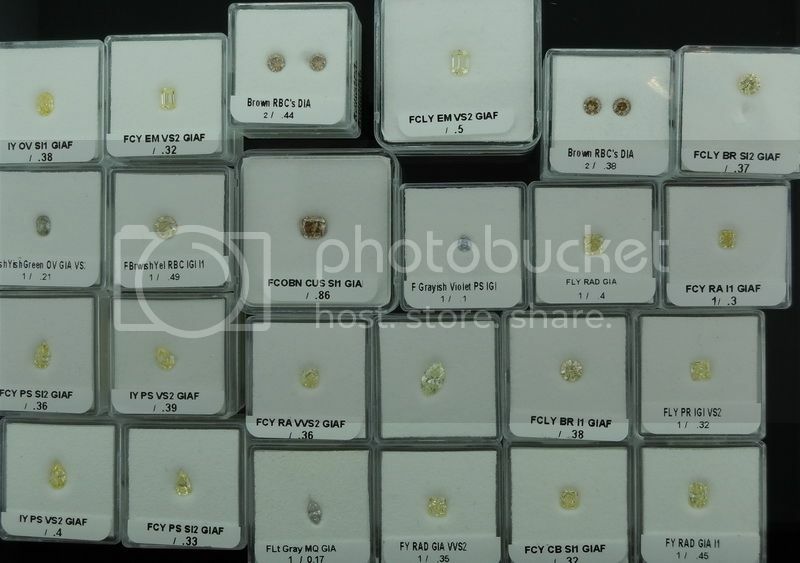 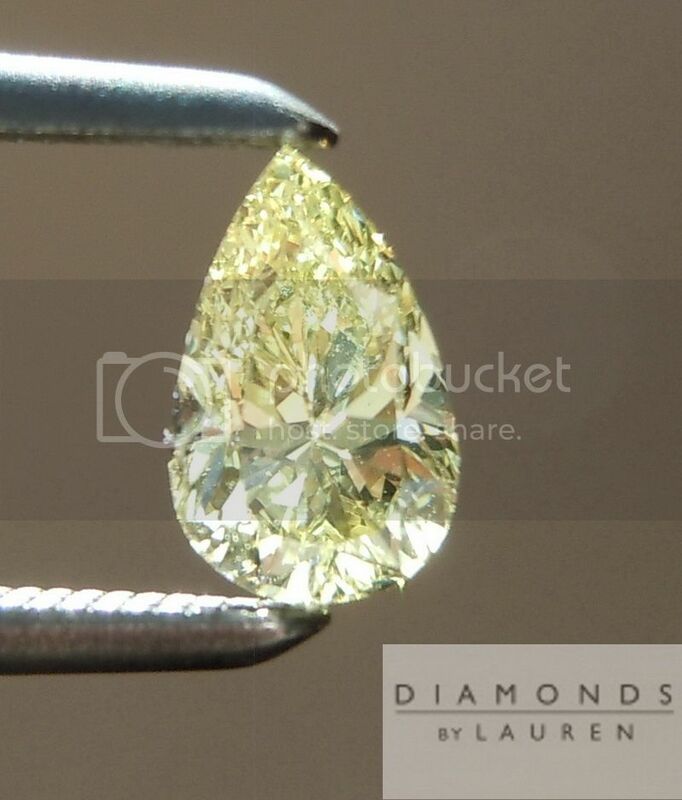 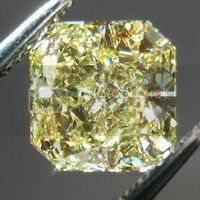 This stone has been graded by GIA to be Fancy Yellow, that means it has a beautiful lemon yellow color. 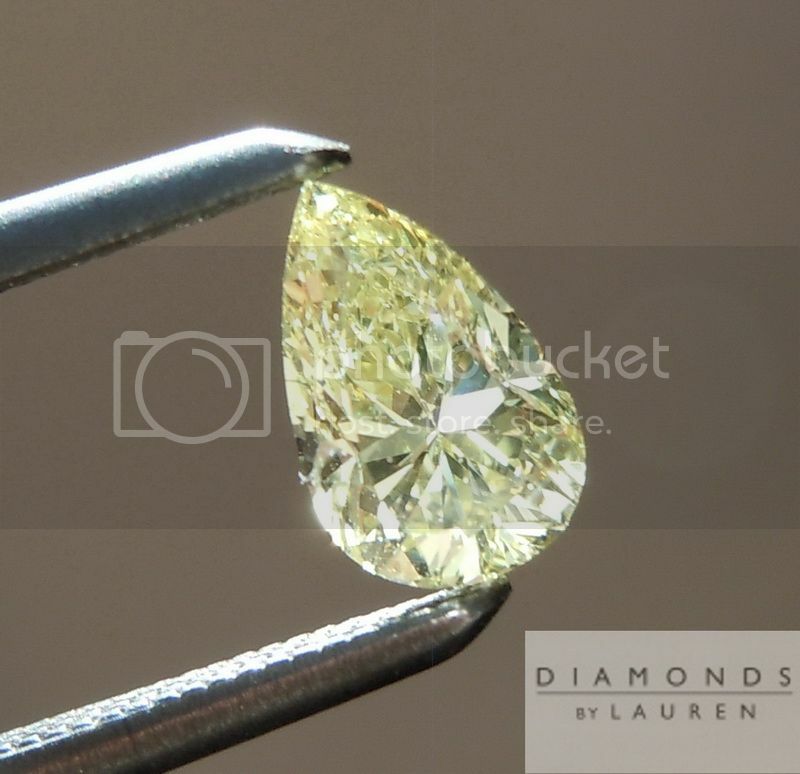 It's a great SI2 - totally eye clean.